Excitement is in the air at the Oklahoma Jazz Hall of Fame. 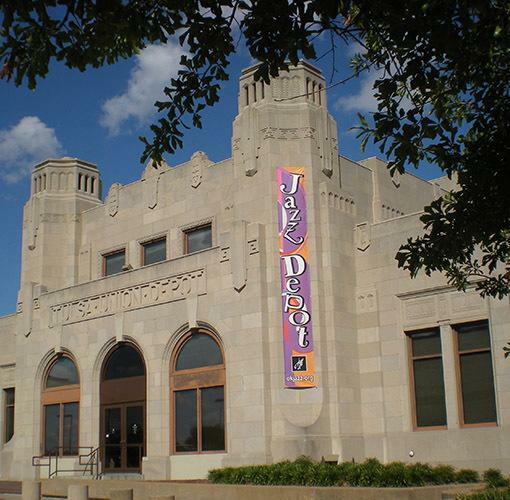 We have so much going on in our "home" at Tulsa's old Union Depot Building, located in downtown Tulsa - which we affectionately refer to as the "Jazz Depot." We would like to thank you for your support of this beautifully-crafted historic landmark, our music arts programming and our cultural outreach to the youth. We invite you and, your friends, loved ones and colleagues to join us in a whirlwind of amazing music concerts, community-based arts programming and exciting special events. Remember, to call the Jazz Hall for all of your special events needs. We have several beautiful spaces for lease. Admission to the Oklahoma Jazz Hall of Fame is free!